The benefits of good and long night sleep cannot be over emphasized. It is admittedly not easy to flip around our daily routines and habits, but the long time benefits to our health are worth the bother. According to the Centre of Disease Control and Prevention (CDC), between a third and half of all Americans have insomnia and complain of poor sleep. A lot of factors contribute to the growing cases of insomnia and sleep disorders. It could be significant life stress, emotional or physical discomfort, environmental factors or an illness. Whatever the cause too many people have become dependent on sleeping pills to improve their sleep. Sleeping tabs are often used as sedatives and anesthetics. But when used regularly, they have a number of side effects. These include addiction, depression, dizziness, and heartburn. This means that taking sleeping pills may offer a quick fix to your sleeping problems, but is not the best option. Below are some adjustments you can make so you can try to sleep naturally and beautifully without the use of sleeping tabs. 1. Say no to nightcaps. Nightcaps are one of the most popular enemies of sleep and yet many people embrace it as a sort of ritual. A bottle of Scotch might make you doze off initially, but once it wears out, the chances are that you will awaken and find it real difficult to go back to sleep. Caffeine or caffeinated drinks also tend to have the same effect and should also be used cautiously. 2. Create a sleep routine and imbibe a sleep ritual. Going to bed at the same time everyday helps regulate your internal sleep clock. Maintaining a regular sleep routine will often condition your body to begin to shut down once it is close to the time. Sleep rituals are those things that you could start doing whenever you want to sleep that enhances the speed with which you sleep off. It could be reading a book, playing soothing music or a cold bath. These are all means to create an internal regulator that tells your body that it is time to sleep. 3. Watch your eating habits. It is unwise to go to bed hungry or overfed. The discomfort will usually affect you later at night. Make dinner your lightest meal and finish it some hours before bedtime. Avoid spicy or heavy foods that may keep you awake with chest burn or indigestion. Also it is unwise to drink too many fluids to avoid frequent interruptive trips to the toilet. 4. Cultivate new habits and drop some harmful ones. A study has shown that smokers are four times more likely to not feel rested after a full night's sleep than non-smokers. Kicking the smoking habit will definitely improve your sleep. Researchers in Northwestern University's Department of Neurobiology and Physiology reported that previously sedentary adults who got aerobic exercise four times a week improved their sleep quality from poor to good. Exercise is very good for better sleep. But make sure you do it hours before sleep, so the body is not too revved up when it needs to rest. 5. Observe a proper lights out. Lights have a way of keeping us alert to our surroundings even when we are asleep. Someone that sleeps in a well lit room is more likely to be awakened by noise than someone who sleeps in a dark room. Light tells the brain that it is time to wake up and delays our sleep, by limiting the release of melatonin to the brain. This means that phones and computers should be set aside before sleep. 6. Create an environment that enhances your sleep. It is possible for your mind to be saying one thing, while your environment may be influencing what your brain understands. You should then align the signals your mind and your environment are sending to your brain. One way you can do this is by applying some aromatherapy sleep recipes. Another way is by making your bed and getting rid of the books on the bed. You should also close your laptop and put it away. If need be restrict your sleeping space to yourself... no tossing kids or furry pets. I know that sleep is sleep, but there is no sleep quite as beneficial to us as our night sleep. Strangely, one of the culprits denying us this benefit is sleep during the day. A lot of people take long naps in the evenings and hence, find it difficult to sleep during the night. 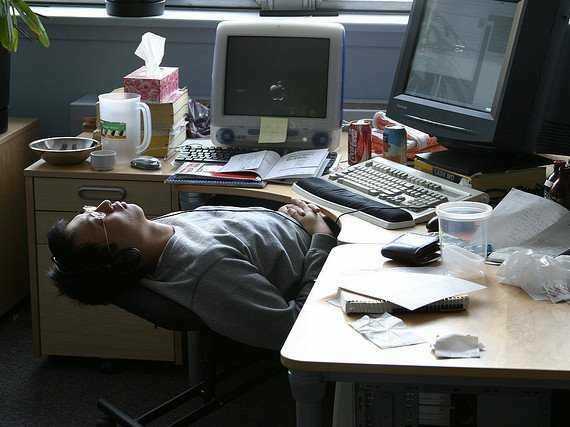 A lot of others prefer sleeping during the day and working all night. The night shift ("graveyard" shift) is classified as a carcinogen by the World Health Organization. The reason why this is ill advised is because there are harmful implications on our melatonin level when the body is forced to stay awake when there is no natural sunlight. 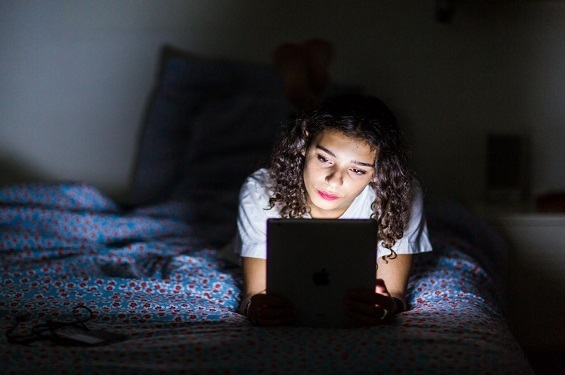 A study has shown that people who work at night are more susceptible to cancer. It is strongly advised to limit day time naps to short periods and to end it before 5pm so as to enhance our night time sleep. 8. Try to finish up as much work as you can during the day. One of the chief reasons many people have epileptic and interrupted night rest is because they have a lot of work to do, and their mind is worrying while their body is trying to rest. Try your best to finish up as much work as you have for the day so your mind can rest alongside your body. When we are at least satisfied with the volume of work we have achieved it becomes easier to rest. It is better to sleep tired, than to sleep uneasy, so use your day well.